Another gem of Scripture and sense from Fr. Patrick, this one comes to us from Orthodoxytoday.org. Several questions about this kerchief thrust themselves forward: How was it that the two apostles observed and commented on this item? What does their observation tell us about the apostles? What did they conclude from the fact that the kerchief was folded? Finally, what should we surmise from that fact? With respect to the first question — How was it that the two apostles observed and commented on this item? — it is easy to imagine the thing as part of a police report. Let us picture a detective asking them to describe their discovery of the scene with all the details they can remember. “Yes,” answers John, “the folded kerchief struck both of us as rather odd. Arriving at the tomb, we presumed that Jesus’ body had been stolen. We did not credit the report of the women in our company who were all worked up, talking about angels and resurrection and the like. Their words seemed to us like idle tales, and we did not believe them. These sisters of ours, you see, had just experienced the trauma of Jesus’ death late last week, so we thought them hysterical when they found the tomb empty. Down through the centuries, no matter what conclusion a someone reached about Jesus’ burial chamber, that folded kerchief has begged for an explanation: Who folded it, and why? We who accept the testimony of those first female witnesses know exactly who folded the kerchief. We see Him lying dead in the tomb, and then we picture His body coming to a new and completely victorious life. That instant of the Resurrection of Jesus was the most decisive moment in the history of the world. It was the event of deepest importance for every human being who ever lived. It was the supreme kairos. The Law and the Prophets were fulfilled in that moment, and the existence of the human race took on an utterly new meaning. What, however, was the first thing Jesus did when the Resurrection life came surging into His body? 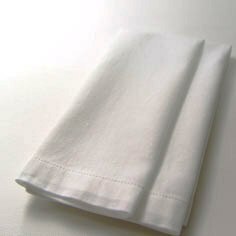 The simplest and plainest thing imaginable: He reached up, pulled the kerchief from His face, folded it, and set it aside, as though it had been a napkin used at breakfast. Those sacred hands, from which every grace would flow into the Church until the end of the world, were first employed to fold a kerchief. The universal Christ, the eternal Word in whom all things subsist, was still the same Jesus, to whom an act of elementary neatness came naturally. He spontaneously did what He would likely have done in any case, much as another man might unconsciously scratch his ear, or yet another look around for a stick to whack the weeds with as he walked along. The risen Lord was the same Jesus His friends had always known. He had just returned from the realm of hell, where He trampled down death by death. He was on the point of going forth as a giant to run His course. He was about to begin appearing to His disciples, providing them with many infallible proofs, being seen by them during forty days, and speaking of the things pertaining to the kingdom of God. Nonetheless, He was still the same person, whose instinctive habits remained identical. First, He took a moment to fold the kerchief He had used, and only then did He stride out to change the direction of history and transform the lives of human beings.